Ahead of a much-anticipated Tyneside show this month, Lee Fisher spoke to Berlin-based polymath Mary Ocher about torch songs, capitalism and the redundancy of partying. Interviewing Russian-born, Berlin-based electronic musician, writer, photographer and artist Mary Ocher is a little different from your standard NARC. interview. Instead of discussing guitar tones or tour mishaps, you find yourself digging into barely remembered philosophy lectures and trying not to seem like a fool. Luckily, Ocher is never less than gracious and thoughtful. She returns to the region this month promoting her new album The West Against The People (released on the legendary Klangbad label), so the provocative but ambiguous title seemed a good place to kick off. Presumably her place of birth gives her a special insight into the notion of ‘the west’. The album comes with a fascinating essay (something not much seen since the era of bands like Crass) that touches on intersectionality and power relationships. A typically bold and unusual move (and I highly recommend reading it on her website), so I asked Ocher why she’d chosen to include it. 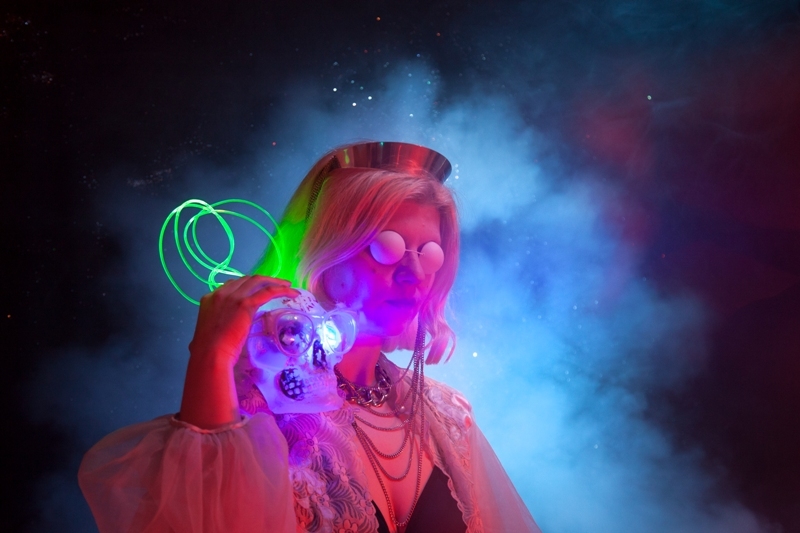 Despite being driven by a very singular vision, Ocher is a frequent and catholic collaborator – the current album features electronic artist Felix Kubin, the last garage trash icon King Khan – and I wondered if there was a common thread or something particular she sought out in her collaborations. Mary Ocher appears at the Gateshead Old Police House on Thursday 13th April. The West Against The People is out now on Klangbad.